There are a plethora of crowdfunding businesses out there, each one slightly different. Read to ensure you know how to pick the right one for your startup. Do you have a business idea you think would make a lot of money, but don’t have the funds to get it off the ground? You could go down the traditional route of getting a loan from a bank, but there are different ways to get money. Crowdfunding has helped a lot of people fund amazing ideas and launch new businesses and products. As of April 2017 over 350,000 campaigns have been launched on a variety of crowd funding sites. The only trouble with using crowd funding is figuring out how to pick the one you want to use. 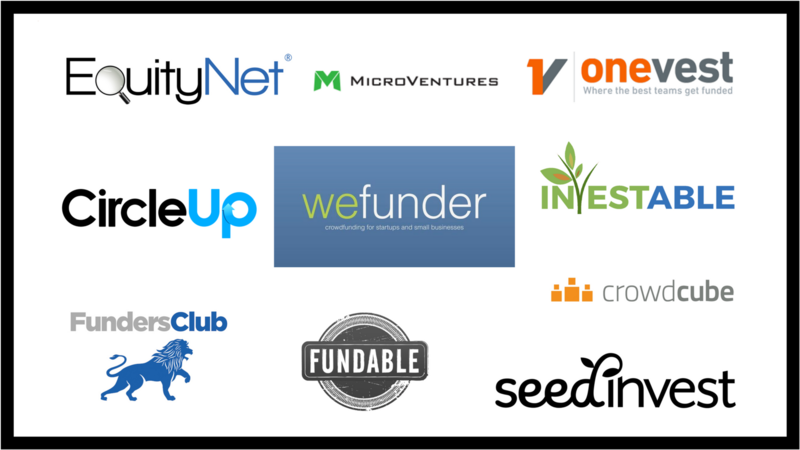 If you’re here, you’re looking for a crowdfunding platform for your startup. A lot of factors go into picking a platform, and you need to be aware of them before you make a decision. Are you ready to pick your crowd funding platform? If you follow these tips, you’ll be able to make the right choice. Do you want people that are going to eventually become longtime investors in your business? Are you looking for a few one-time backers to give some money and get a token of appreciation in return? All of these are important things to consider before you pick your crowdfunding platform. Crowdfunding platforms aren’t the same, many have different purposes. If you want to know how to pick a crowdfunding platform that will work for you, be sure to think about the outcome. When you have that in mind you’ll be able to pick something that can easily meet your needs. Crowdfunding platforms are designed to help people that need to make money for their business or idea. Ideally, you’ll be able to make your funding goal, but what would happen if you didn’t? Everybody wants to be an optimist, but you have to prepare for a worst case scenario. Some platforms don’t have stipulations about meeting a goal, so campaign creators won’t face repercussions if they fall short. Other platforms are different. Failing to meet a goal could resort in a mass refund for people that donated, or could find you in other kinds of financial problems. Before you choose any kind of crowd funding platform, take a long look at the user agreement. Make sure you know what you’re agreeing to financially. If you don’t, you could find yourself in a lot of trouble. Are you planning on developing software that will make paying taxes and managing finances easy? Do you need money to help make the next big social media app? Is there a service you’re thinking of that could change the way people eat food? The kind of idea you have should influence the crowd funding platform you pick. Some platforms do better than others depending on what you’re trying to do. Some platforms do better for creative endeavors, and others are ideal for people that want to get a head start in tech. When you’re thinking of how to pick your platform, think about what other projects have found success in the same place. Do you have any advice for people that want to crowd fund their startup? Tell us about it in the comments section! If you have any questions about crowd funding and startups, you can always contact us for help and advice. All of these are great tips and ones that should be figured out before you step closer to crowdfunding. It is hard enoght to plan a business and when to start it. With a crowdfunding platform, you have to factor in all of the time that is needed to run the campaign, possibly refund the money and get everything together after a successful campaign before you even get a product on the shelf. I thought that most of the crowdfunding websites allowed you to keep what you did raise, even if you did not meet the goal? Some companies offer that option, but not all of them. If you are looking into the crowdfunding option, you should certainly be aware of that before you jump in with both feet. Is there really any benefit to using one over the other? I get that some of the branding might help with the amount of eyes that you get on your campaign, but that is about the only thing that I can make heads or tails of. Crowdfunding is a pretty big deal right now and that is why you have so many options. They ALL want to be know to have helped fund the next big thing. That is now always the case and you must have a good service and platform to offer these businesses if you want to be a successful part of the plan. This is something that I never thought to look up on the internet. You are right that the information is good and when you are in need of funding, here are the options for you. I was just going to go with the popular one, Kickstarter. Is this something that I should reconsider? Kickstarter is a great option for funding if you have a new product that you want to get attention for right away. If you are starting a business or need more funding than just a few thousand dollars, some of these options are better. Thank you for the tips. I am thinking about getting a new business going and was not sure if going with a crowdfunding option is the best one for my company. Does it really matter what your product or service is when you are considering the funding platform? If so, I really never thought about it much, but I would like a few reasons. I didn’t even know this many options existed.